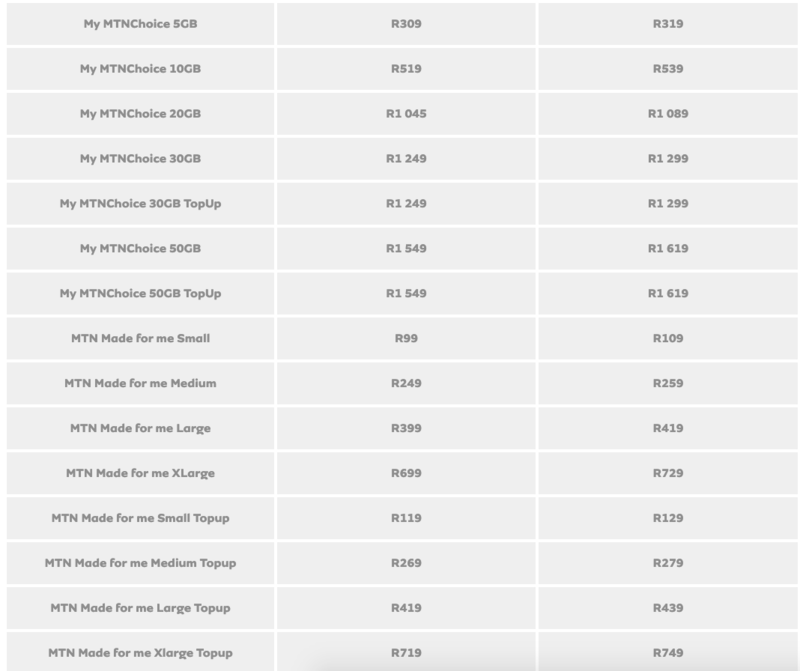 MTN has announced that it will be updating its subscription prices from 1 May 2019. 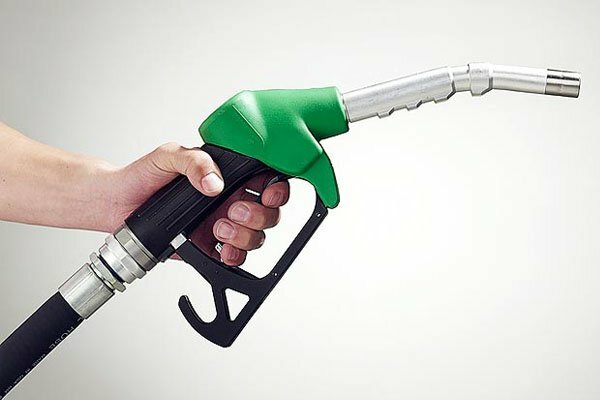 The price hikes will affect contract customers. 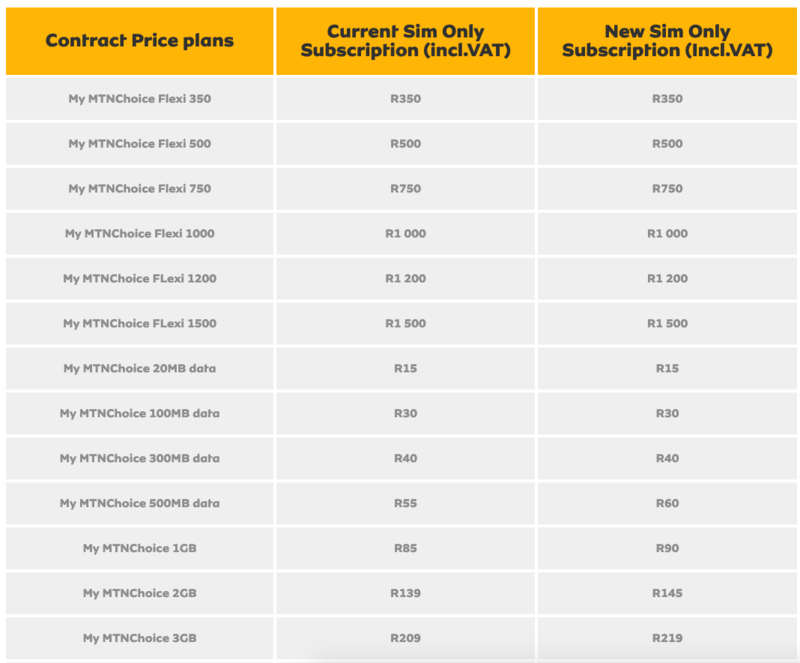 “In the past few years, MTN has worked to avoid increases to its subscription pricing – however, sustained inflationary pressures and increased input costs have meant price adjustments have become unavoidable,” said MTN. 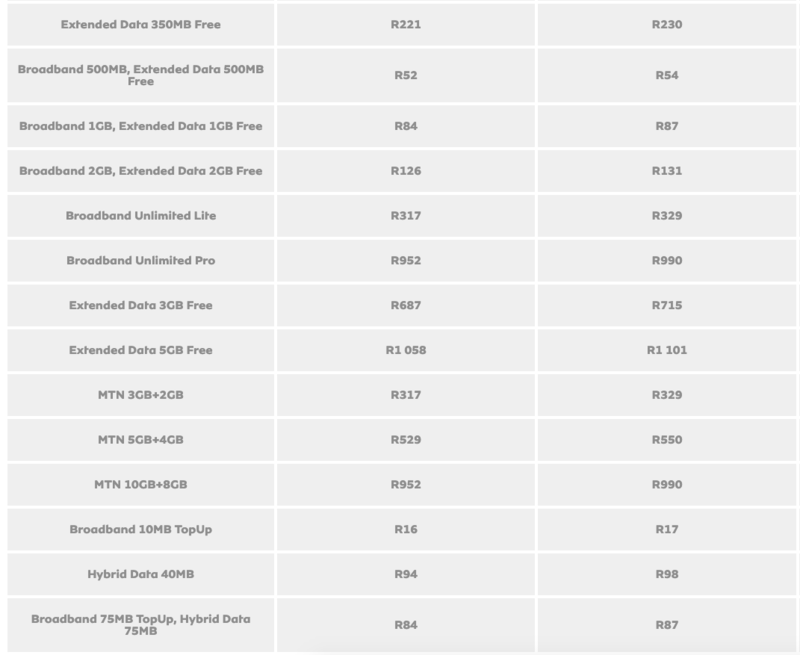 Itemised billing and caller line identity (CLI) subscriptions will also increase by 4%. 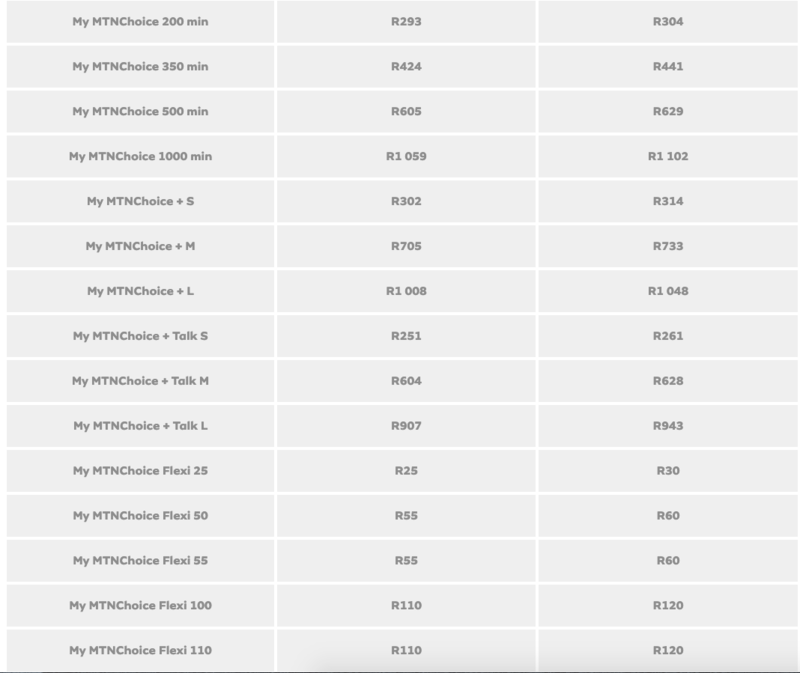 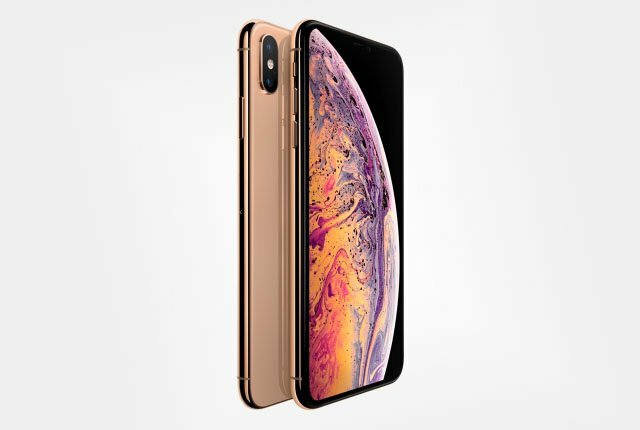 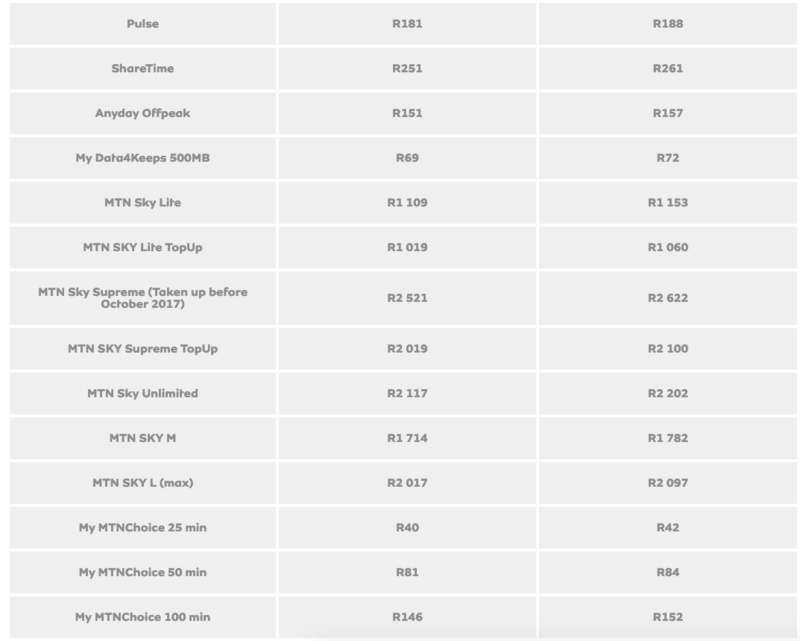 The company added that select My MTNChoice Flexi price plans inclusive contract value will also change to “align to the new subscription price from the 1st of June 2019”. 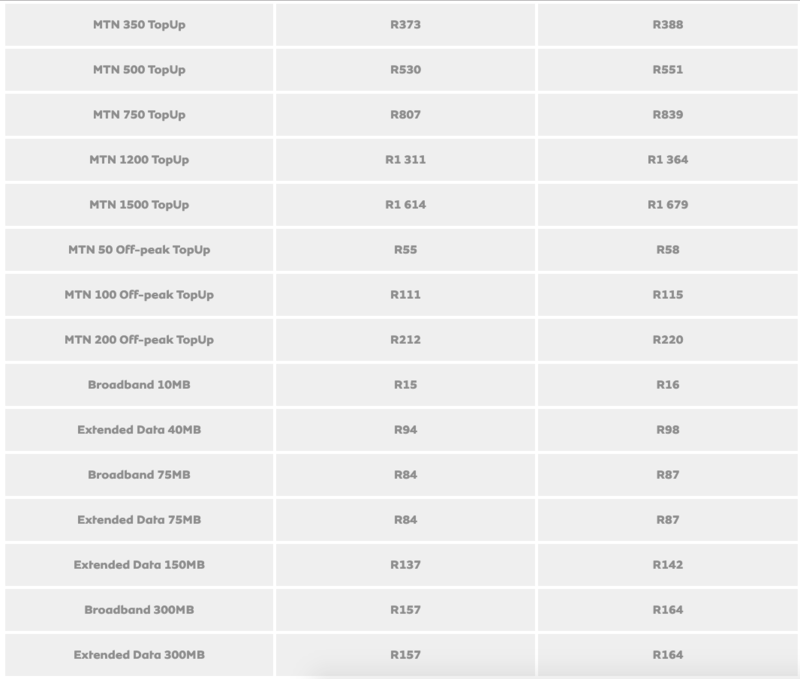 MTN said that it has invested heavily in its network to offer customers “the speeds and coverage we know you expect”. 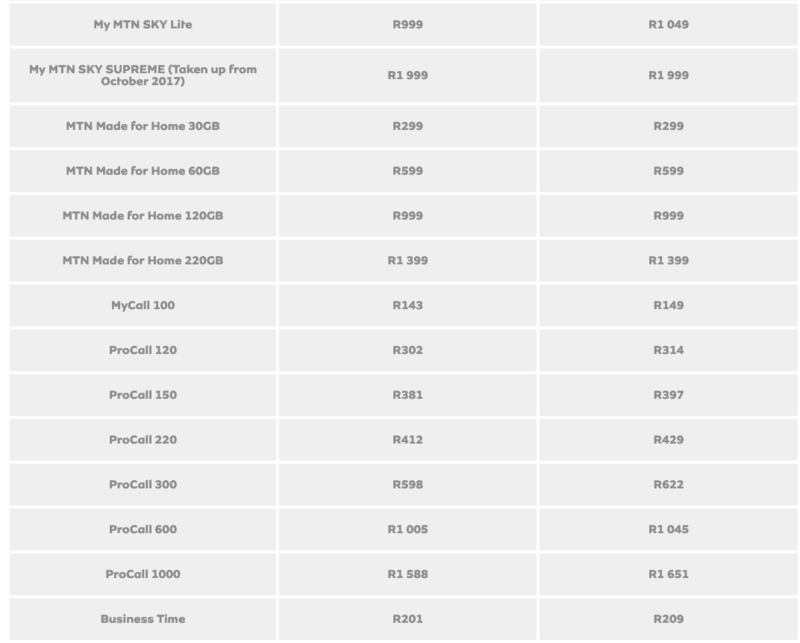 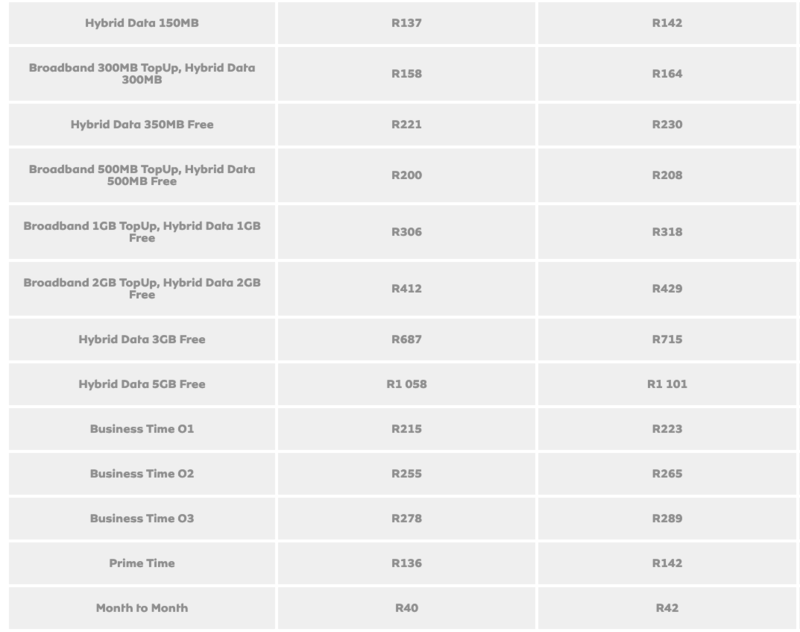 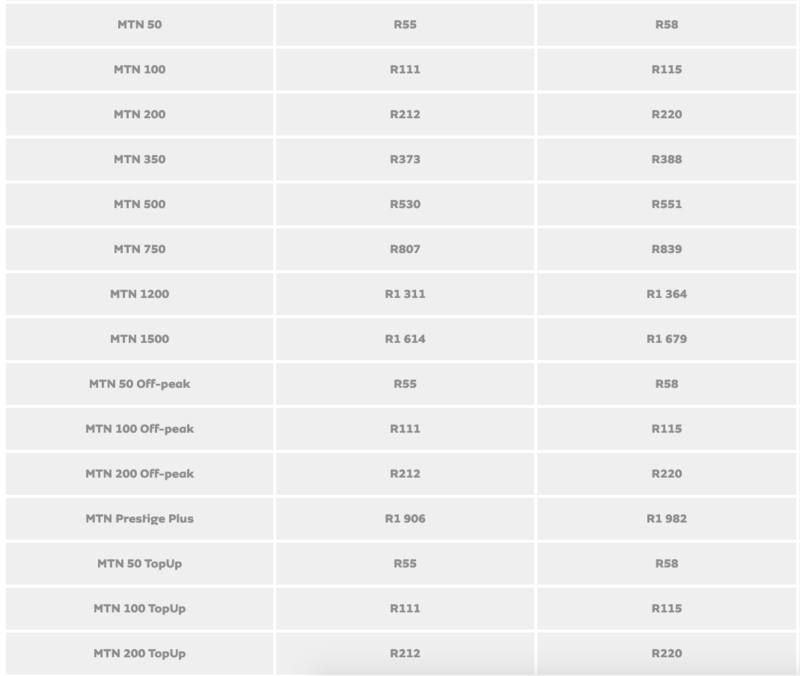 The table below details the MTN contract price hikes.